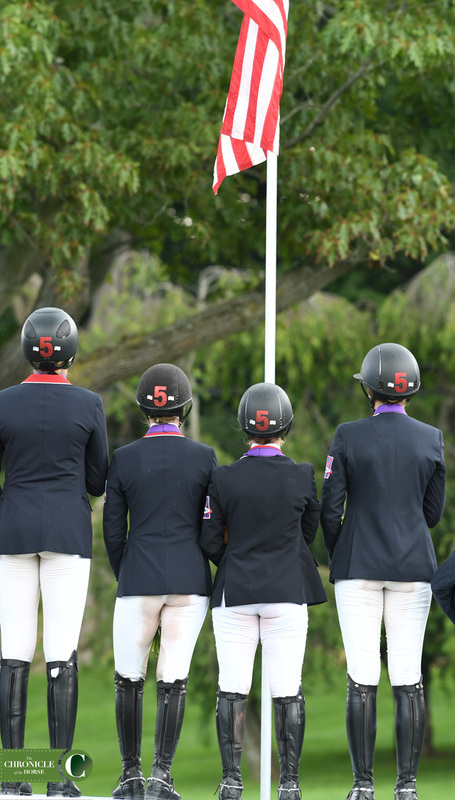 The Zone 2 young rider team at the Adequan FEI North American Youth Championships have a mantra they say to each other before their rounds: Do it for Ralph. 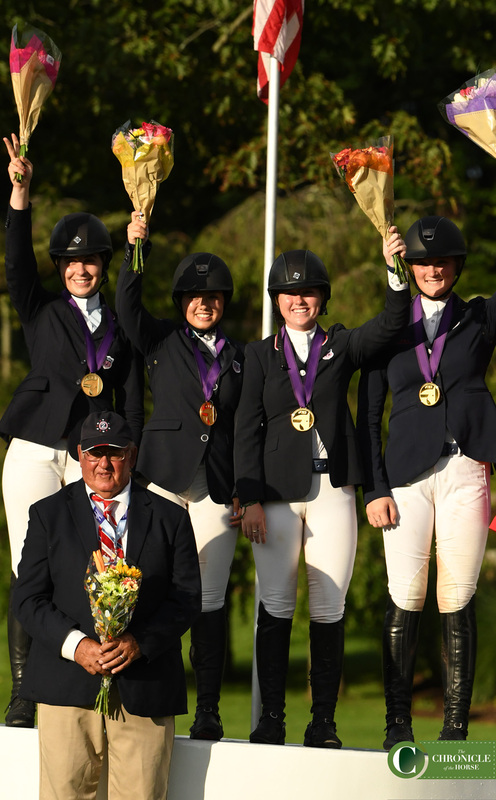 That dedication to longtime Zone 2 coach Ralph Caristo helped propel the team of Ailish Cunniffe (Baloucento), Madison Goetzmann (Prestigious), Samantha Cohen (Carmen) and Katherine Strauss (All In) to gold. 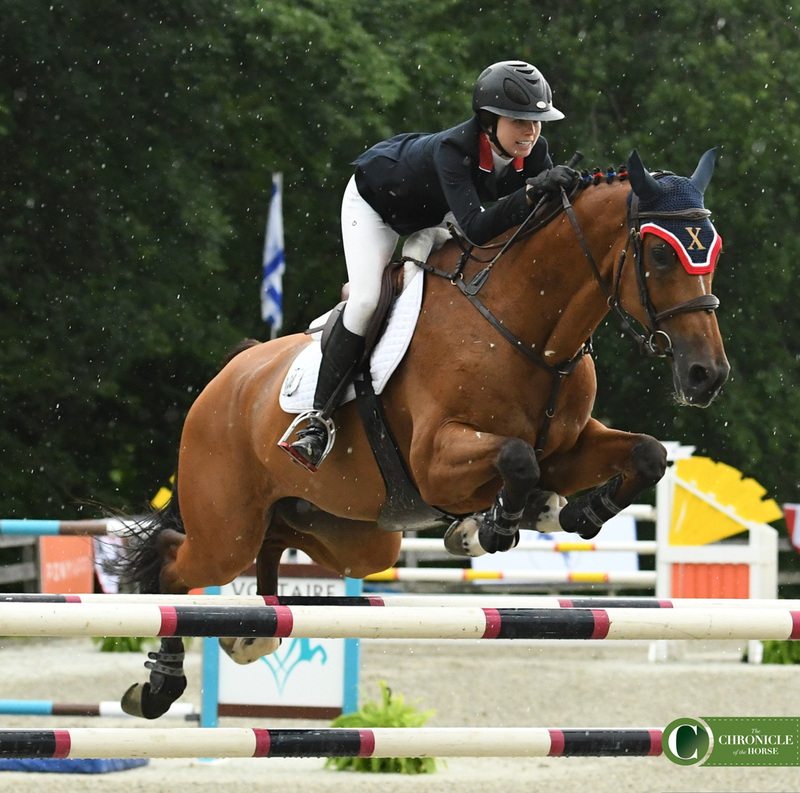 While Zone 2 historically finds itself atop the podium regularly, the team from out west, Zone 10, comprised of Hannah Loly on Ayma de la Demi Lune, Ransome Rombauer on Emorkus RE, Natalie Dean on Chacco’s Goldy and Hayden Zadel on Triskel de Kerliven, came in feeling like underdogs. 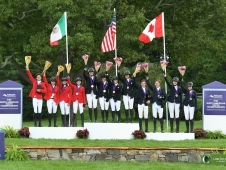 But a strong team spirit helped them win a battle with Team Mexico for silver. 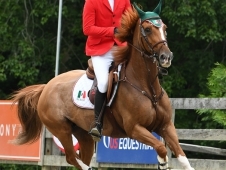 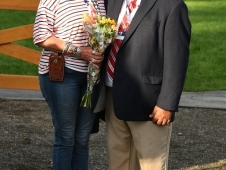 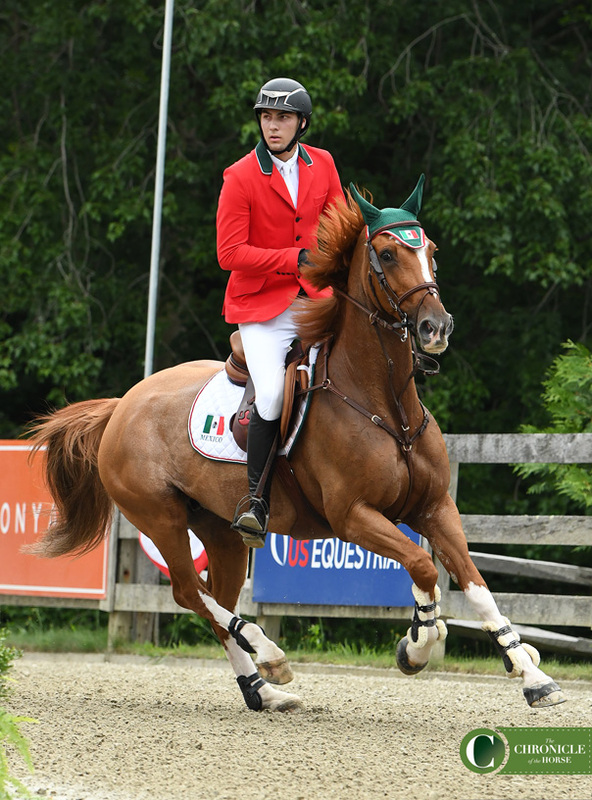 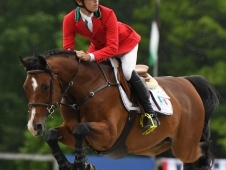 Team Mexico (Carlos Hank Guerreiro on Market Irminka, Jose Madariaga Gonzalez Ulloa on Davidoff, Alfonso Gutierrez Diaz on Quick Ardent and Juan Pablo Gaspar Albanez on River Dance Semilly) earned their first young rider medal for that nation since 2008. 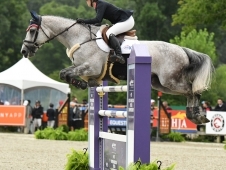 About eight riders into the class lightning headed into the area, and the competition was put on hold for half an hour. 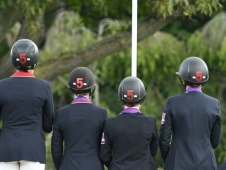 But the delay didn’t affect the winning team too much. 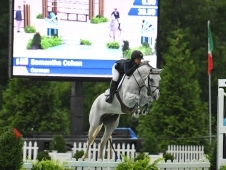 Sure enough, Cohen came back for a clear round. 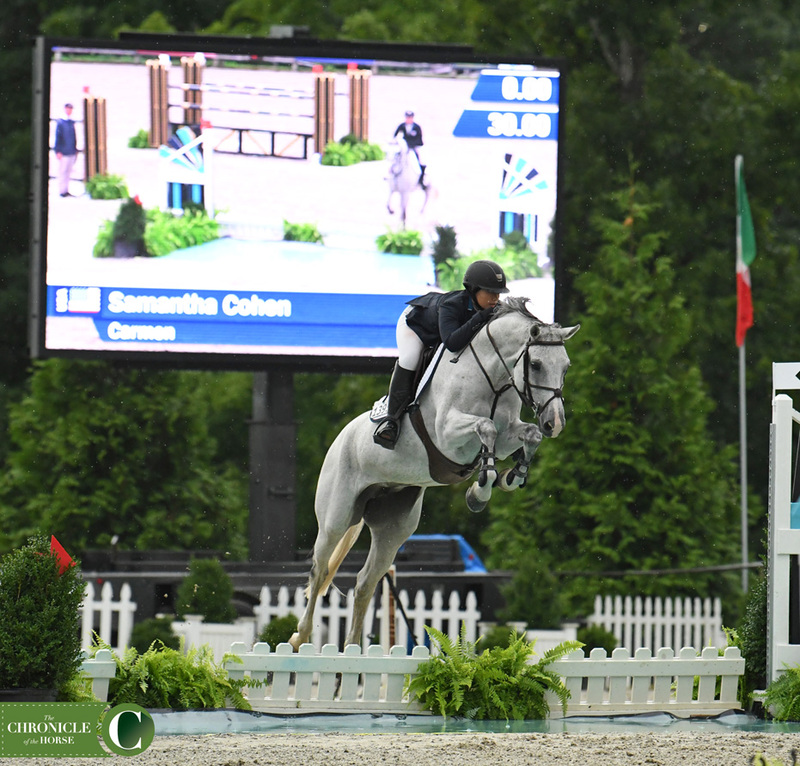 Everyone on the Zone 2 team jumped at least one clear, with Goetzmann and Prestigious accruing no faults over the two rounds. 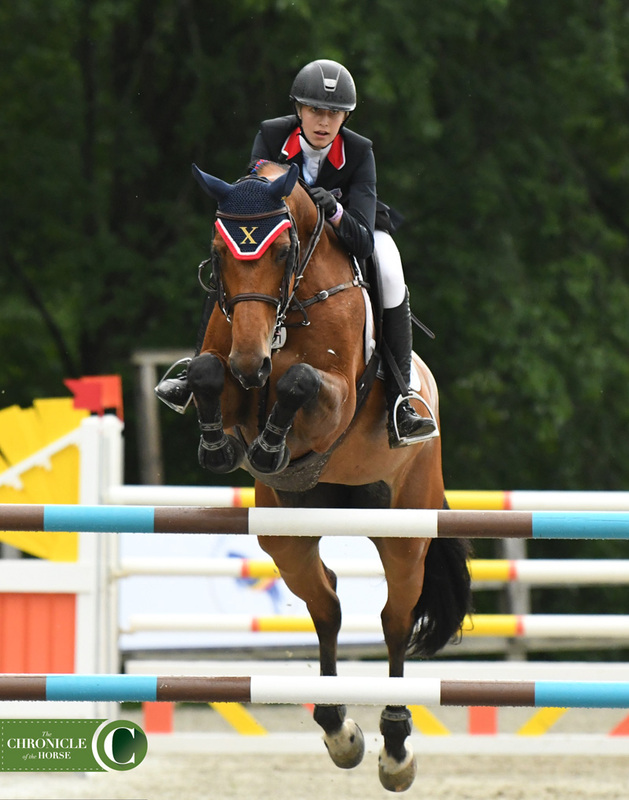 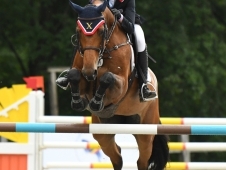 Zone 2’s win means that the United States has earned an invitation to the first Young Rider Nations Cup Final, coming up this September in Belgium. 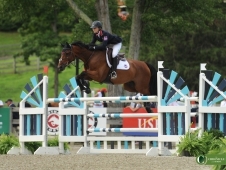 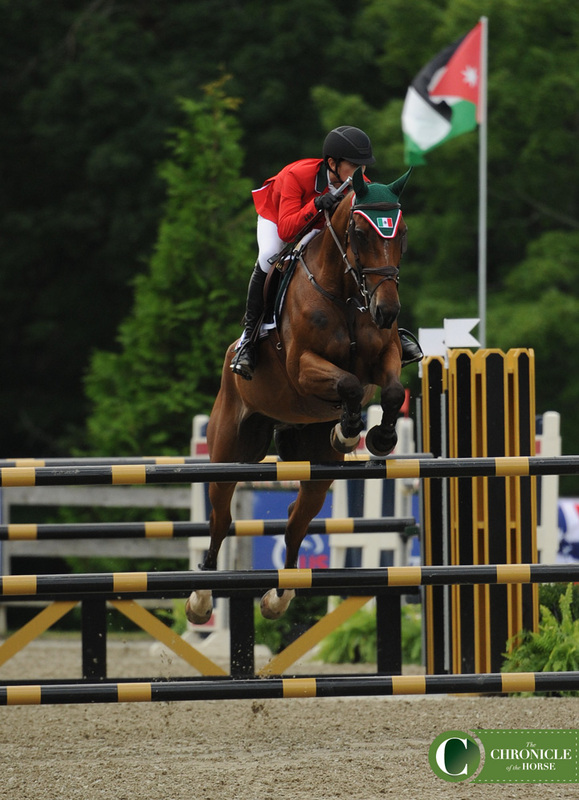 Before the Zone 5 junior riders came to NAYC, none of the riders had ever earned a gold medal. 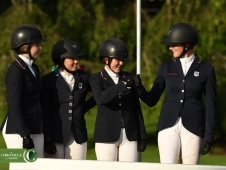 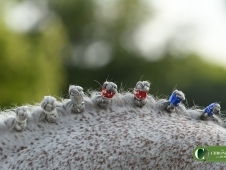 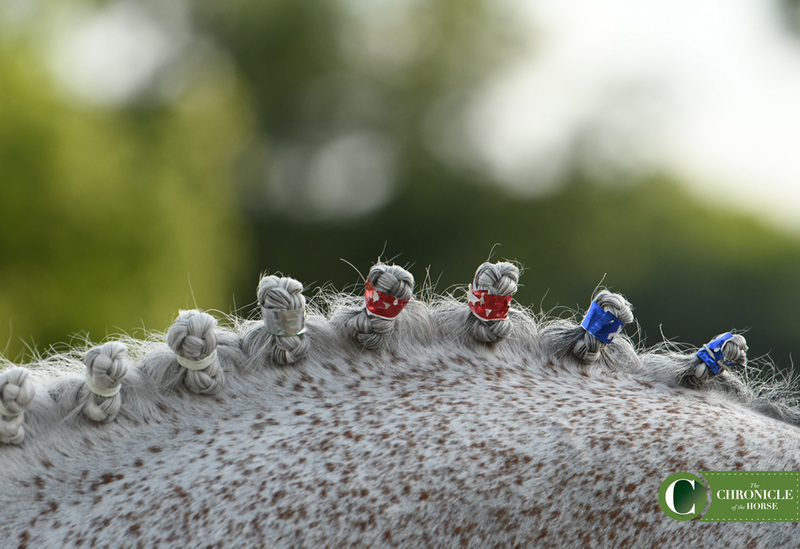 But the team of Alexandra Pielet on Helene VE, Emma Kurtz on Pippi, Paige Matthies on Dirkie Z and Charlise Casas on Rembrandt Blue changed that record today, topping the leaderboard the junior team competition. 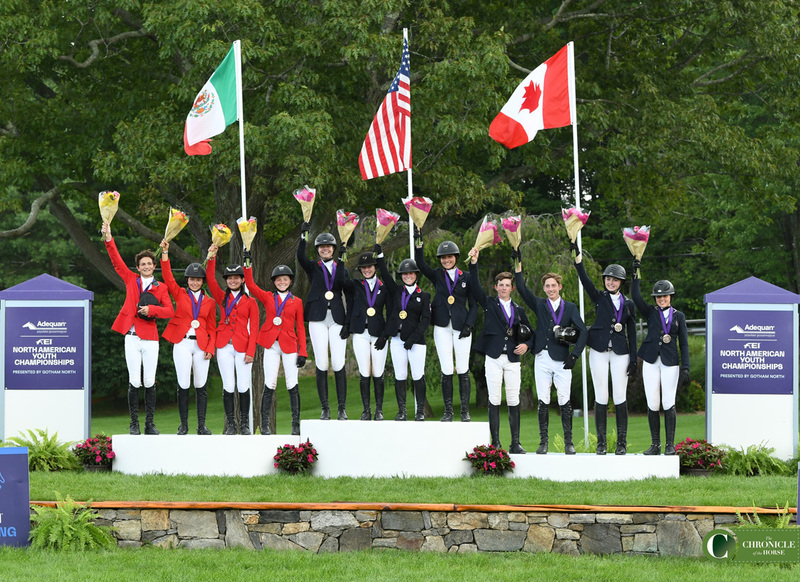 Zone 5 topped the podium over Mexico West (Martina Franco Stephan/Puertas So What, Claudette Villa Issa Campos/La Jovena Cassandra, Mateo de la Mora Ramiro/Qat Kid and Maya Ines Denis Chambon/Carlos V LS la Silla) with Team Canada (Anya Bereznicki/Diazella, Madison Hildermann/Charly, Austin Krawitt/High Jack and Sam Walker/Coralissa) taking bronze. 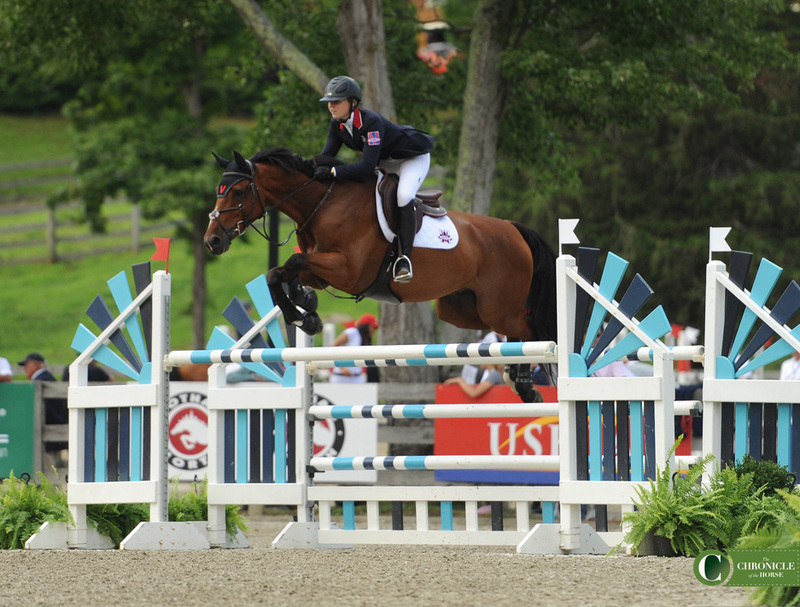 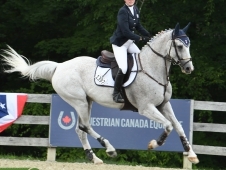 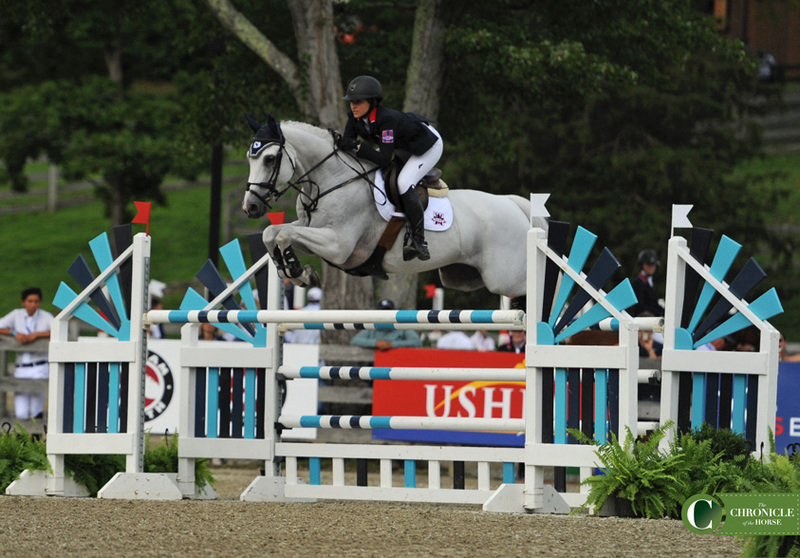 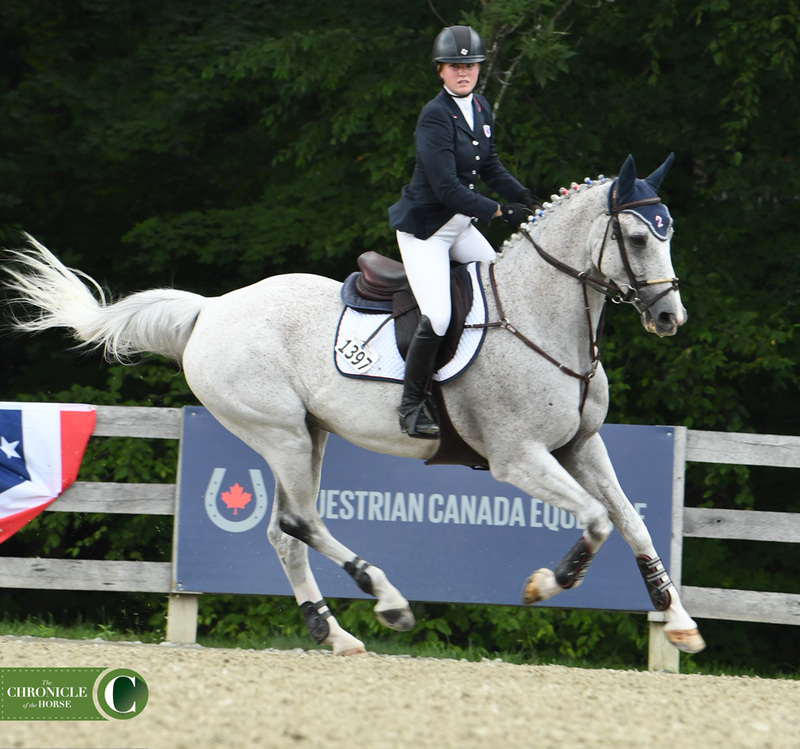 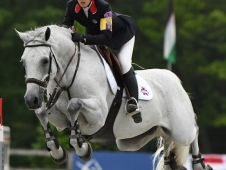 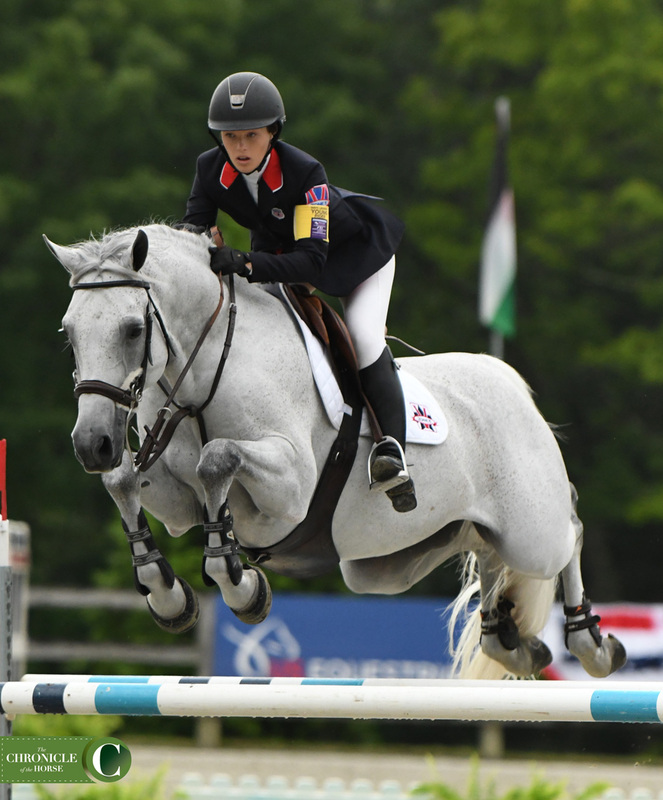 Pielet, 17, was the only rider in the competition to jump double clear in both rounds, anchoring her squad to gold. 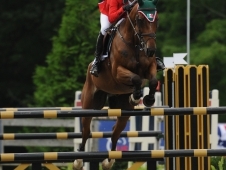 She has been competing her mare, Helene VE, for three years. 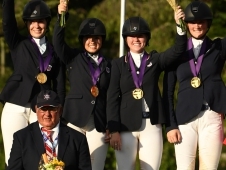 The Zone 5 team of (from left) Emma Kurtz, Paige Matthies, Charlise Casas and Alexandra Pielet celebrated their gold medal. 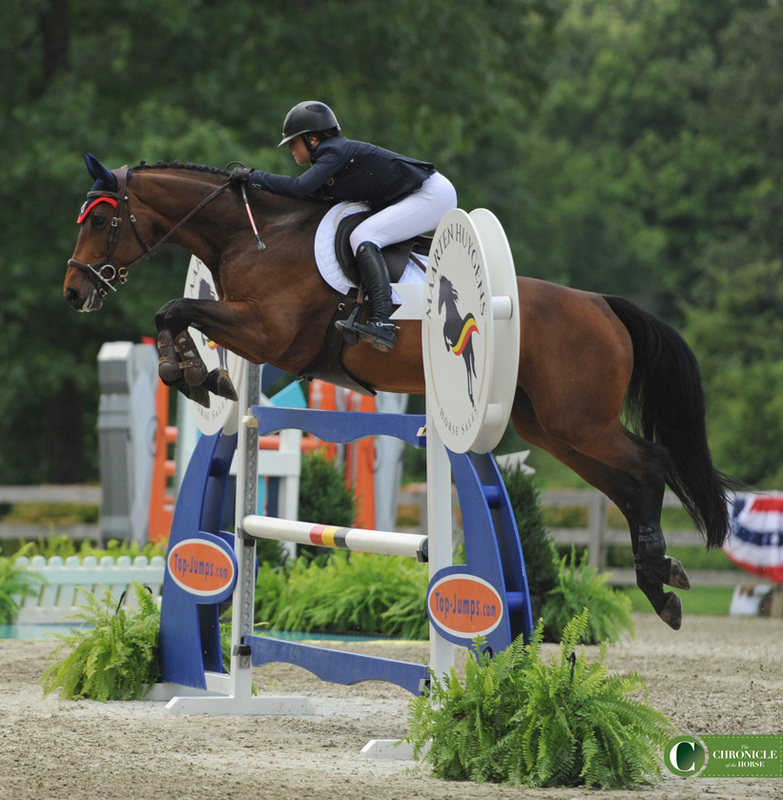 Photo by Mollie Bailey. 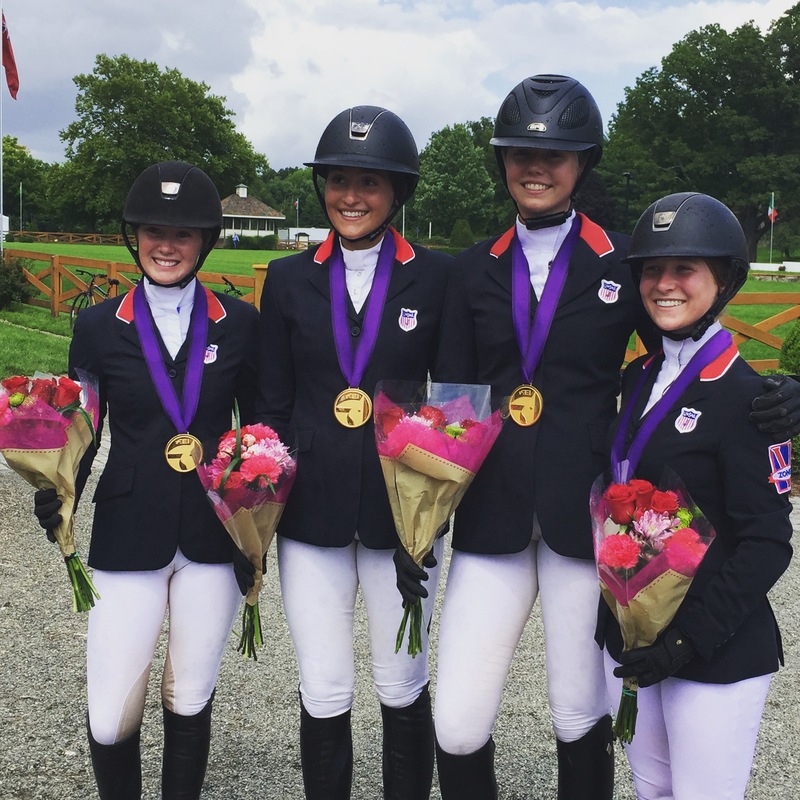 “Being on this team has always been a dream of mine, but winning with three of my best friends has been the icing on the cake,” said Pielet, Highland Park, Illinois. 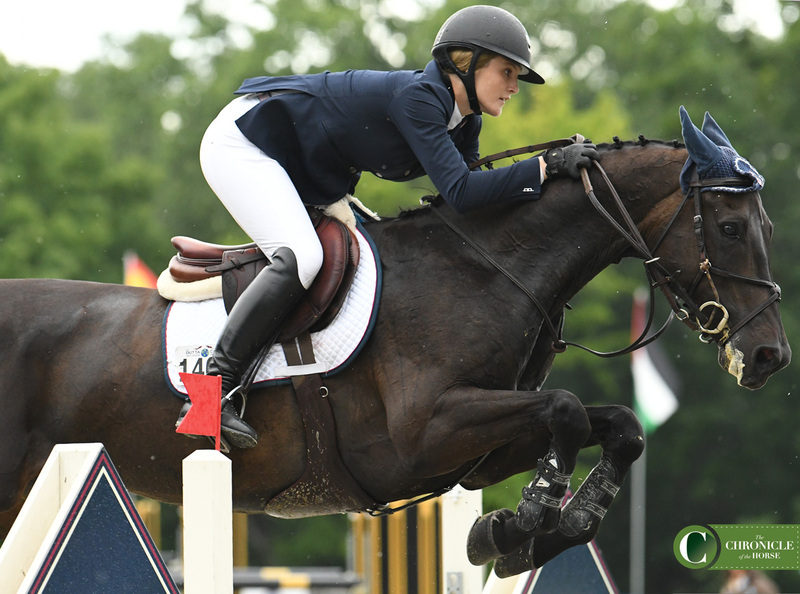 Matthies and Kurtz were both on fairly new rides, but both came out of the second round putting 0 on the scoreboard. 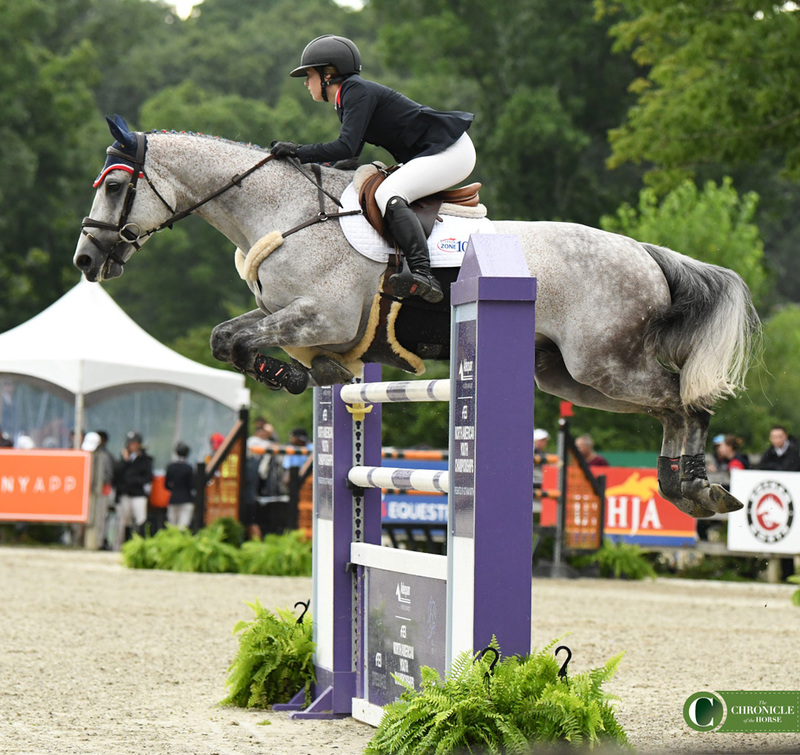 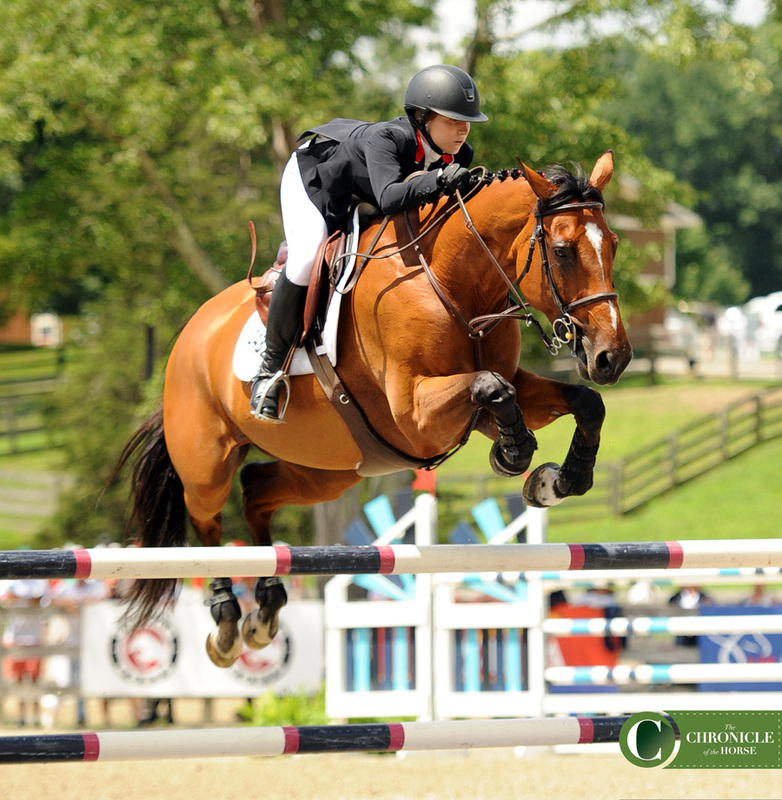 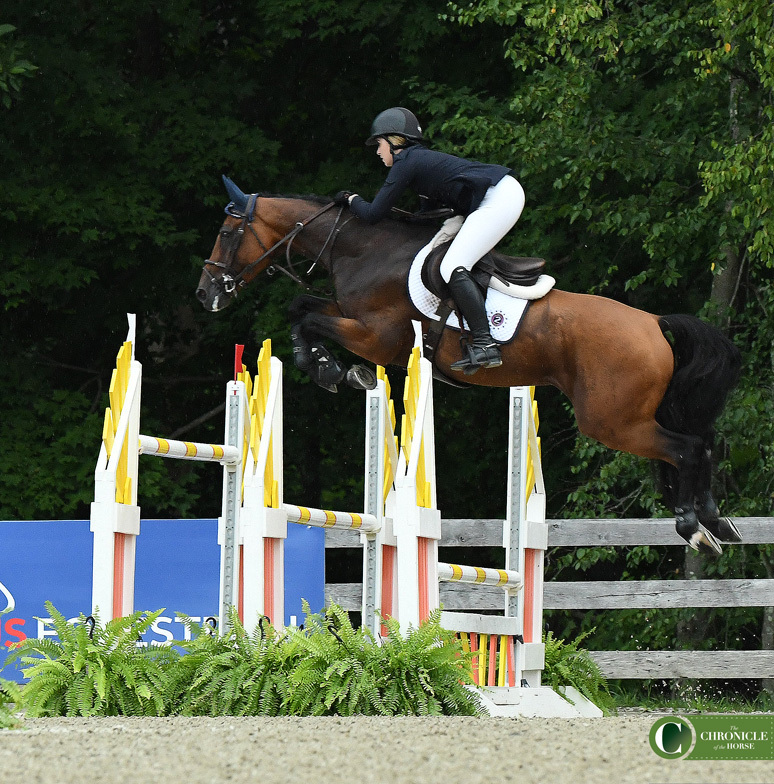 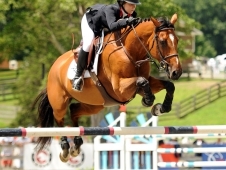 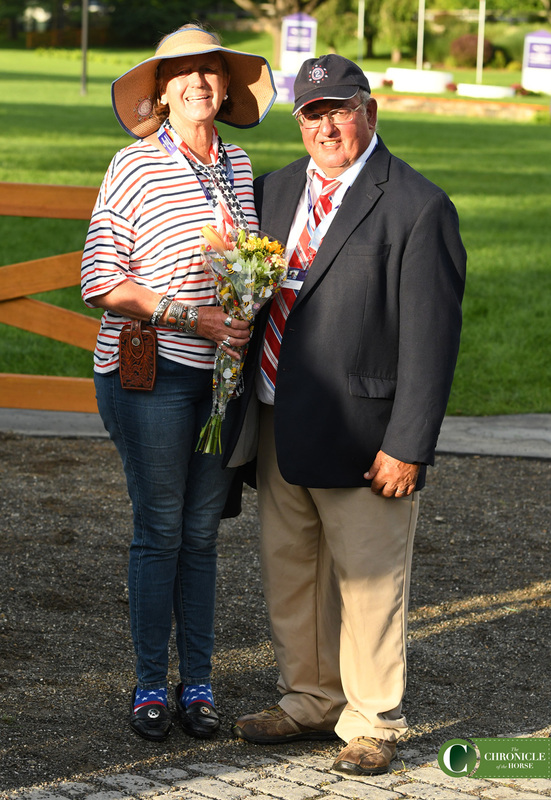 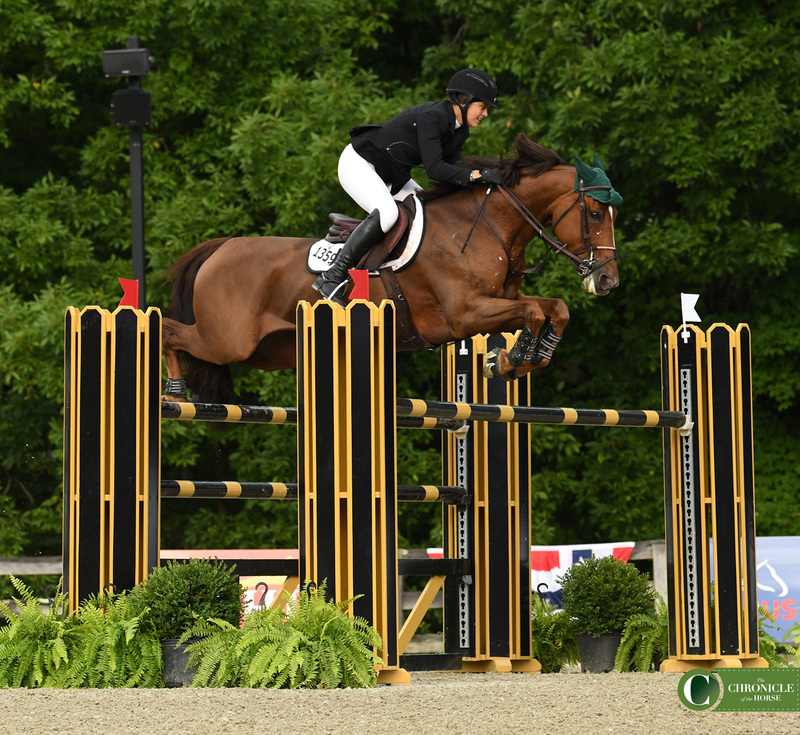 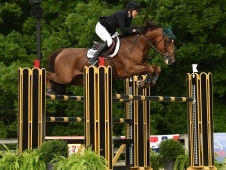 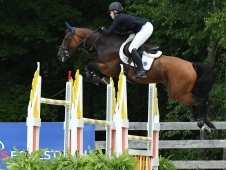 “I’ve done a lot of hunters and equitation, and I just started to get into the jumpers, so it’s incredible to get here and have such a great result,” said Kurtz, Hudson, Ohio. 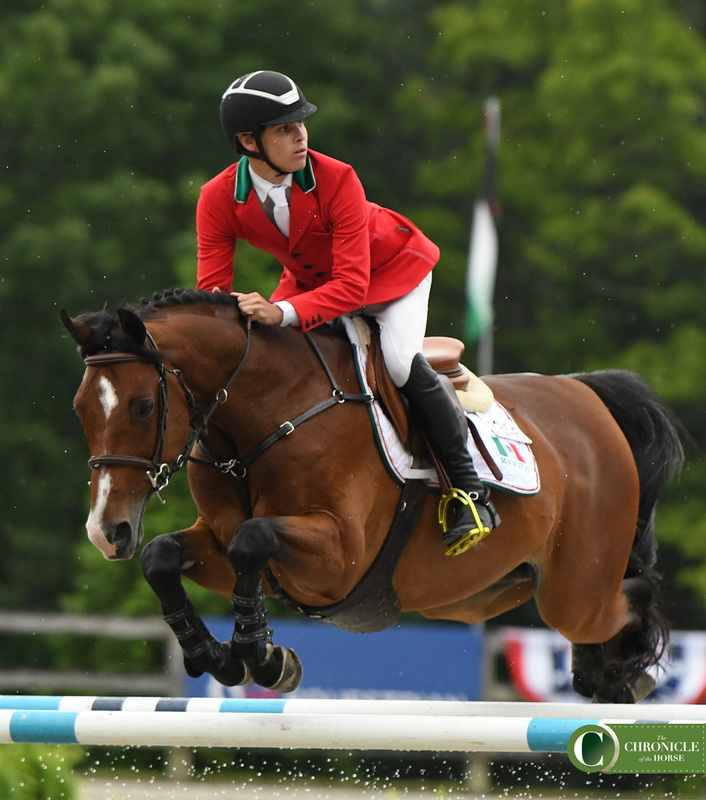 Ramiro of Mexico West said he was brought to tears after his second round because of how Qat Kid jumped for him.